It’s no secret that coolant pipes have been failing on Ford’s 1.0 litre Ecoboost engines, mainly in Focus and Fiesta models. There was a weakness in the ‘degas pipe’ that takes superheated steam from the water-cooled turbo back to the engine coolant expansion tank. 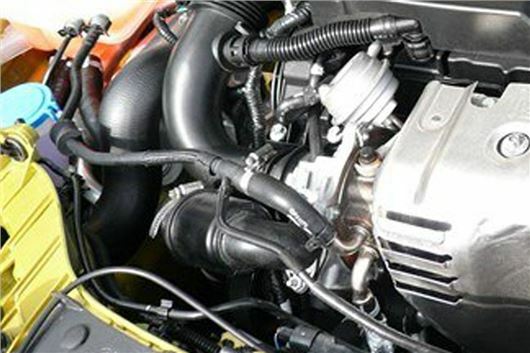 Leakage could lead to overheating of the engine, head gasket failure and even the need for a new engine. Ford addressed the issue with a Field Service Action in March 2015 when known owners of Ford Focus 1.0 Ecoboosts built between October 2011 and October 2013 were notified and the recalled cars were fitted with a modified degas pipe. 96% of affected cars were modified. But “inconsistent contributions towards resulting repairs have come to light – involving up to 1,000 of the 44,682 identified” and these are being addressed here. The ’recall’ is not classified as a safety issue by the DVSA because drivers are provided with a number of warnings should the car overheat and other systems, such as braking and steering, are unaffected – allowing the driver to bring the vehicle to a safe stop. That is why vehicle keepers were not automatically notified by the DVSA recall system. Separately and unrelated, there is a 2018 recall of 15,200 1.6-litre Ecoboost engines in Focus and Fiesta ST models for an entirely different issue, which some media may confuse. Final photo shows the production modified degas pipe. If your 1.0 Ecoboost degas pipe looks like this you have no need to worry. Fiesta, Focus, B-Max, C-Max and Tourneo Connect drivers should be aware that after long inclines, motorway driving at constant revs or high speed driving, the engine needs to be idled for a minute or two before switching off to cool down the turbo. In normal day to day driving this is not necessary. When will Powershift owners have their problems paid for? Excellent response. In fact I had found some useful older pics and compared with my engine. I recognised the modification to an all rubber pipe. Frankly bizare decision to fit a rigid plastic section in a pipe run subject to engine rocking during start up - especially as the engine has auto stop/start! Ford simply got caught doing what they consider is 'right'. Having owned Ford's since the 90's the next vehicle will not have their badge present for sure. The Ecoboost is cheap to make hence the reason it is the Ford 'standard' engine. It would be much less confusing if there were only two photographs (before and after), and even better if they were actually take from an identical perspective / field of view!